The Clarisonic Mia 2 is a brush system that cleans the skin on your face up to six times cleaner than when you use only your hands. Cleaning begins from deep within the natural elasticity of the skin in order to remove dirt, make-up, grime and excess oil on the skin. The first thing that you must know is that the type of skin that you have is hereditary. There are those individuals with youthful, healthy-looking skin who are indifferent with what they have because they have never had any serious skin problems in the past, so they do not know what it is like to have skin blemishes. I, however, have always needed to take special care of my skin, and my skincare regimen hardly ever was a success. A proper cleaning routine is perhaps the only method at my disposal, but even that had a bleak outcome. At least that was until a short time ago when a really good friend of mine suggested to me that I try Clarisonic Mia 2 and this device had my skin looking so radiant and healthy that I want to share my story with you. How the Clarisonic Mia2 works is that it gets rid of make-up, dirt, bacteria, impurities and even excess oil on the skin. It uses water and oscillation to flush out whatever foreign objects are trapped in your pores. This process removes blackheads and acne while making your skin look more radiant & young. My face had it all. It was covered with tiny, rash-like looking bumps, some red spots and, of course, many blackheads. Whether it was the methodical oil cleansing method (OCM) or the use of chemical peels, none of these methods worked. There is a high probability that your pores contain impurities and bacteria for quite some time now, just like mine. Clarisonic Mia2 was precisely what I required. This facial sonic cleansing system, when combined with my everyday skincare regimen, proved to be what my skin needed. Clarisonic Mia2 Facial Sonic System comes with the option of using one of two speeds, while others may not be strong enough or too harsh to use on your skin. You may adjust the settings according to your needs. It is contoured, so it is easier to hold. A feature that I really like is that it is waterproof, so you can clean your face while you are in the shower and there is no electrical hazard to be afraid of. Promotes the feel and tone of skin; skin is visibly healthier and more radiant. There are less blemishes and scars from new acne, and previous blemishes disappear at a faster rate. Delicate lines and wrinkles are less visible. My face now has an improved texture. I really love the cleanser that I received with the shipment. There were some friends who did not like it. You may try it and let us know if you like it. It is neat and perfect for travel situations. I personally find that it causes the expulsion of tiny acne when you initially start using it, but after a day or two, they just fade away. This is depressing, but they are not huge and very noticeable, though. This was what happened to me when I first started to use the device and I wanted to send it back. I later decided to try it for a few days, and it was worth it. You should be careful when using the Clarisonic Mia2 because I saw that some people had written about having horrible break-outs on their face when they used it. It probably only happens to a few people as none of my friends or family has had this situation to deal with. Price is a factor here. 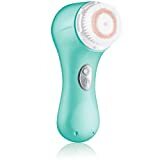 Due to its advanced technology, it’s price is rather high, but Clarisonic Mia2 was a lot cheaper than some of the other professional products that I saw on sale, so that is why I bought it. There were some people who wrote in their reviews that their skin had somehow become really dry. I will have to say that their moisturizer is the cause here and it should have been able to deal with this, and it is not because of some flaw in the Clarisonic Mia2. This situation may be prevented by them investing in a more appropriate one. I did not experience this, so I did not write about it in the disadvantages section; but I do think that I should mention it so you all will be aware. 20 seconds on either cheek altogether. Clarisonic Mia2 buzzes when it has cleansed an area, and you will know when it is time to start on another area. When you are finished, look at the brush and you will be amazed at all of the grime and make-up that is in it. It is so simple to clean that you may use your hands. When the bristles of the brush are worn out, it is time to replace it, the same as you will do with your toothbrush. Clarisonic Mia2 is designed to be used twice daily; however, if your skin is sensitive, you may choose to use it once daily. The Clarisonic Mia2 is completely charged after 18 hours or less. The battery life, however, is only about 20 minutes; and when you calculate it, this is about 15 to 20 days of use if it is being used daily. As we mentioned above, you may break out during the first day or the first week of using the Clarisonic Mia2 as it deep cleans your skin. Some people get blackheads, like me; and others get different types of blemishes. My advice to you is to ignore these side effects and continue to use the Clarisonic Mia2 or else your skin will go back to its original condition. BUY THIS! Buying the Clarisonic Mia2 was definitely the best decision I made for my skin. I only wish I had read this review sooner. I have been struggling with hormonal acne, dry skin and blackheads for many years now. After I started going on birth control it only got worse and I would even get cysts. After using this device for a few days my skin started clearing up and I finally had the confidence to go out again. I have a sensitive skin and tried masks, chemical and physical exfoliants but everything irritated my skin. I only use it 4x a week to make sure it doesn’t disrupt my skin barrier. The only negative aspect of the mia 2 is probably replacing the brushes, they are a bit expensive but are definitely worth it. Just don’t forget to clean your brush after every use so you don’t have to replace the brushes every month! There are connoisseurs who purchase expensive beauty treatments, and they do not know if these are well suited to their skin types, or how it even works. The cost of the item does not matter because they can afford it, so they pay the price and then find out that these treatments do nothing for them. No one will ever want to use these products or spend hundreds of dollars on them because they simply offer little or no benefits to the user. It is all a waste really. Everyone wants to look their best naturally and have radiant skin. You should know what you expect from your skincare products, but before you make your purchase, be sure to read the reviews, so you will know if it is appropriate for you. If you have done a lot of research and cannot make up your mind on which product to choose, continue reading and you may decide that Clarisonic Mia2 is the right choice for you. Clarisonic is a Washington-based enterprise and it is recognized as a top manufacturer of beauty products for various types of skin. The products that they design are used for cleansing and alleviating skin problems with the use of sonic skin technology. Clarisonic also states that skin will be soft and radiant after a few minutes of using it. The products manufactured by Clarisonic target users who need more than everyday soap or facial wipes. Beauty salons and health spas also believe in investing in Clarisonic products to increase the effectiveness of their therapies and services. As a result, they can increase their prices per treatment because they do get undeniable results. Information about the company is very critical if you are a connoisseur because this information tells you quite a bit about the company’s reputation. This enterprise was founded in 2000; and from then to now, Clarisonic has already developed a name for itself in its market niche because of its advanced technology and product diversity. The company Clarisonic states that they have been fulfilling the needs of their customers through the production and retail of the Mia2. We decided to review the Clarisonic Mia2 because where else can you find a device that cleans, softens and revitalizes skin after using it for a total of one minute, twice daily. What is even more important is that no trauma is caused to the skin. There are many types of Clarisonic sonic skin cleansing systems on sale. These are designed to meet your needs. The purchase of the Clarisonic Mia2 is rather cost-effective and it is convenient for travel. Clarisonic Pro is used by experts and it gives you the option of using any one of the four speeds available. This tool is available in only three colors and we are looking forward to seeing what other colors they have in store for us. Clarisonic Mia2 packaging contains a cleanser, brush head, charger and a few other articles. The bristles of the brush head may get rough or worn down due to age or regular use. It is recommended that the brushes are changed as often as every three to four months. Remember to select a brush head that will be suitable to your skin type and you will be able to achieve excellent results. Does the Clarisonic Mia2 Meet My Needs? It all depends on the way that you operate Clarisonic range of devices. You may have seen Clarisonic Mia2 comments that prevented you from purchasing this device. I did what I had to do. I learned as much as I could about it. I looked at the ingredients, features of the product and other factors that may influence the outcome. After much scrutiny, I realized that Clarisonic range of skincare products will benefit your skin. Finally, Clarisonic has designed their products with you in mind, so you get products that target your skin type, regardless of what it may be. Now, you need to make your final decision and test the Clarisonic Mia2, and it will be your turn to experience the visible improvements in your skin. 2.4 Does the Clarisonic Mia2 Meet My Needs?